Free parking is available next to the building! No permit is required! We encourage you to take public transit to your Continuing Education class. If you are a student taking a for credit course you may ride UTA for free with your University of Utah Student ID. Detailed info rideuta.com. UTA buses 228, 313, 455, and 473 have stops next to the Continuing Education Building. At the University of Utah sites in Sandy and St. George, parking is always free and available. Parking on campus is challenging. Please consider using public transportation. Below, we've outlined parking options for our on-campus and off-campus, daytime and evening students. If you must drive and park, day and evening class instructions vary slightly. Please be aware that parking regulations change frequently; check posted signage carefully. PLEASE NOTE: Commuter Services is open until 5:00 pm (rather than 6:00) Monday through Thursday, and closes at 4:00 pm on Fridays. Students who need evening parking passes must call before 5:00 to purchase a pass for the evening. Students taking classes on campus should refer to the Commuter Services Parking Map for lot locations and permit designations. To purchase visitor or semester-long parking passes, please see the Commuter Services website. You can call them at 801-581-6415. 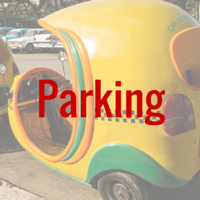 Osher Lifelong Learning Institute specific parking information can be found here. All Commuter Services visitor parking passes can be purchased in person, over the phone at 801-581-6415, or online by creating an account with Commuter Services. No pass or tag is required for display–you register by using your license plate number which will be scanned by Commuter Services patrollers. You may purchase this tag for multiple days. Please call us at 801-581-6461 if you have any questions or concerns.